My Kindergarten son loves playing all kinds of games but specifically loves dice games and I think it’s a great way for him to learn early math concepts. It’s win-win for both of us! 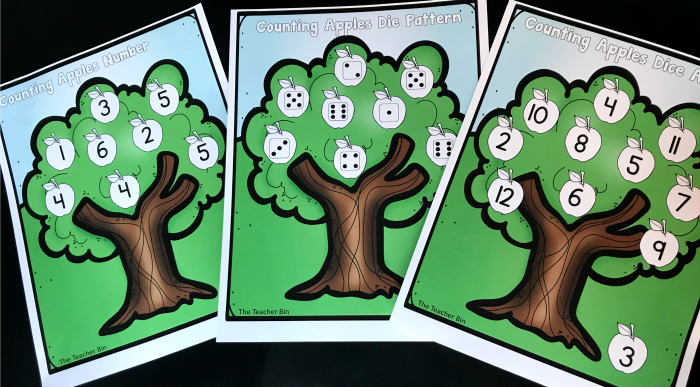 Counting Apples is a great Kindergarten apple math dice game that uses dice and fun apple tree boards. This game is great for either a partner game or for small groups of 3-5. 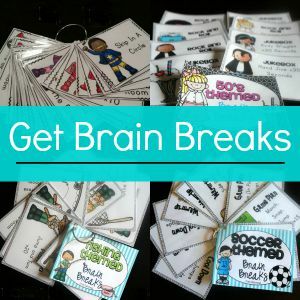 Perfect for Pre-K, Kindergarten and even first grade. These kindergarten apple math dice games come with 3 different board types- counting apples number, counting apples die pattern and counting apples dice addition. With all these options, you will be able to use this low prep game over and over throughout the year! 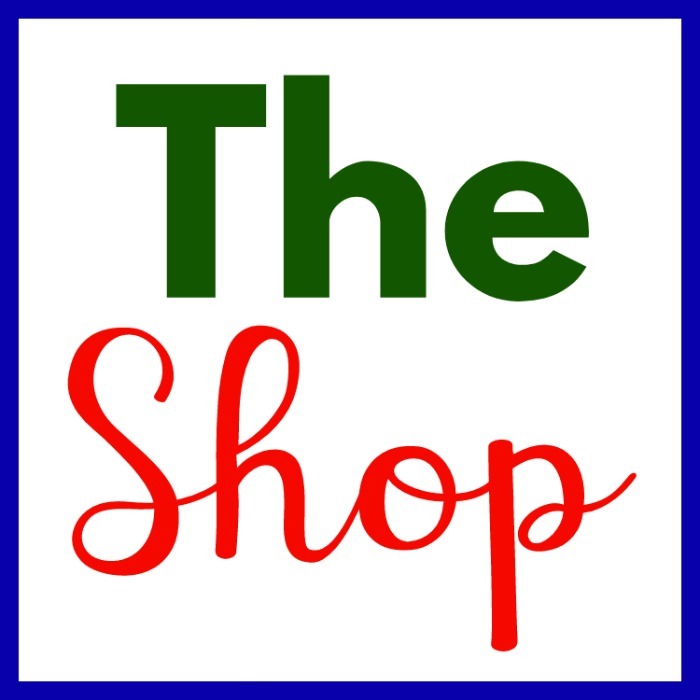 These games can be played individually, as a partner game or in small groups of 3-5, so they are very versatile! First, print off the boards. I highly recommend you laminate them to help them last longer! You’ll also need dice and items to cover up the apples such as red unifix cubes, red pom poms etc and dominoes for individual play. 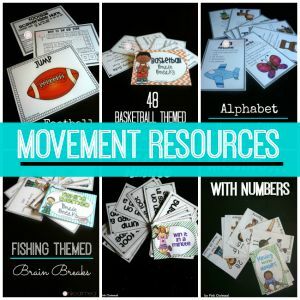 These boards can be played individually for early finishers or any other time you need your students to do an activity by themselves. It’s a great way to make every moment count! When your students play individually, they use dominoes to cover the matching apple on the tree. 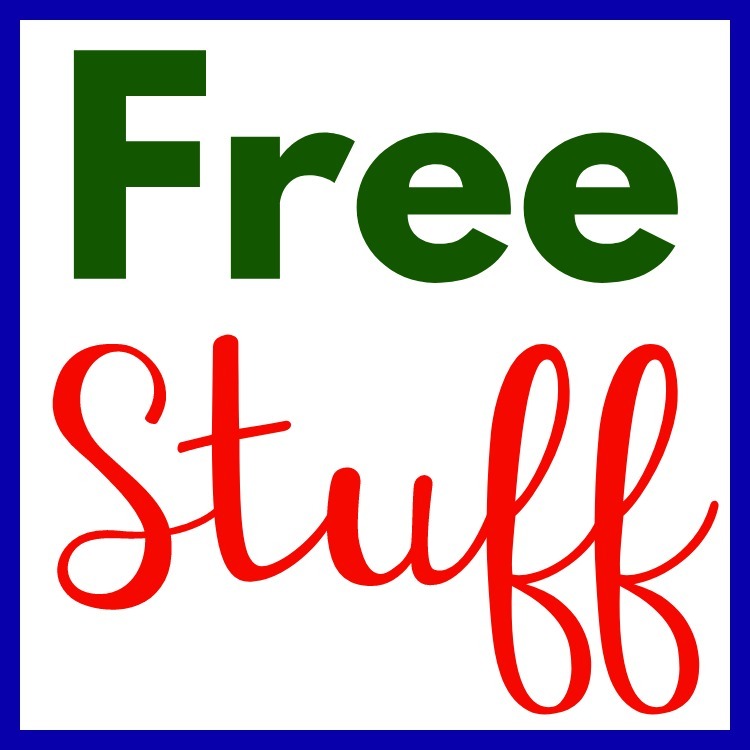 Put your students in either partners or small groups of 3-5. 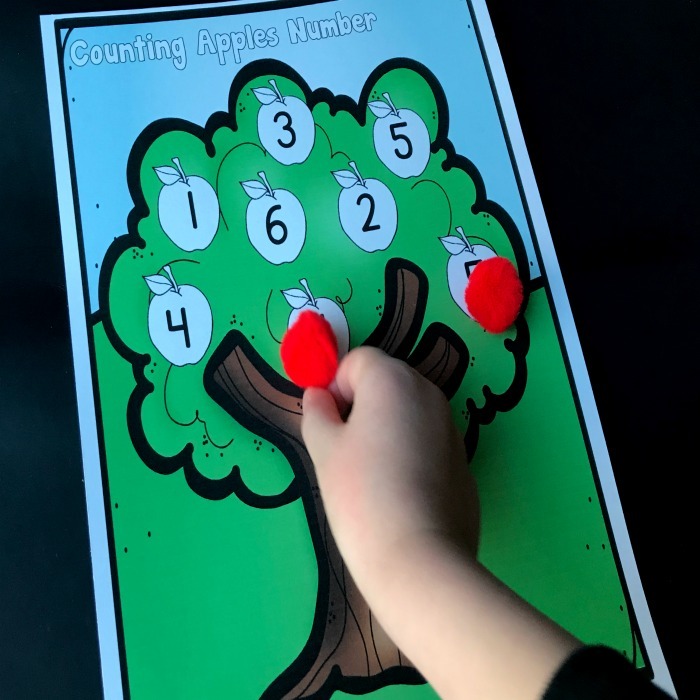 You will use the boards labeled “Counting Apples Numbers” and you will need 1 dotted die and items to cover the number. The kiddos roll the die and cover up the number they rolled with a cover up item. The first to cover all their apples on their tree wins! Once again, put your students in partners or small groups of 3-5. You will use the boards labeled “Counting Apples Die Pattern” for this game. You will need one number die and items to cover the number. The kiddos will roll the die and cover up the number that matches the die pattern on their board. The first one to cover up all their apples on their trees wins! This one is great for teaching kiddos how to add the die, which is a great math skill. This can be played in partners or groups of 3-5. You will use the boards labeled “Counting Apples Dice Addition” they have the numbers 2-12 on them. You will need 2 dotted dice and items to cover up the number. The kiddo will roll both die and count them up and put he cover up item on the corresponding apple. First student to cover up all apples wins! 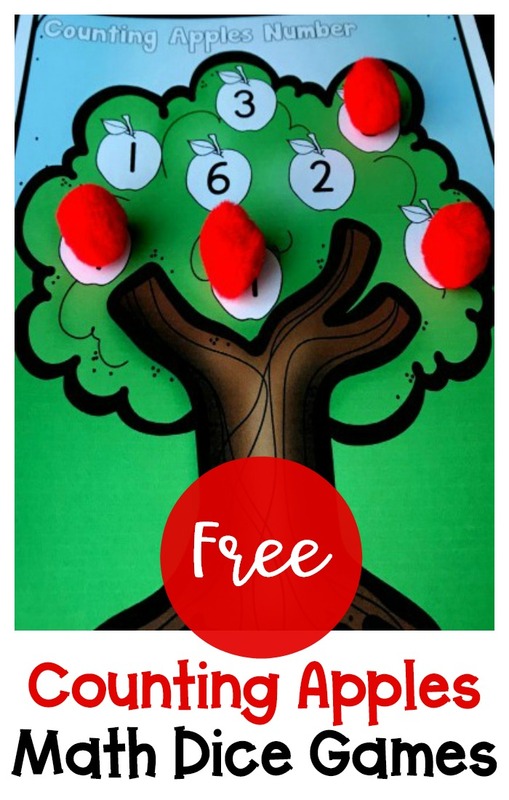 When you subscribe you will gain access to this free kindergarten counting apples dice game and all of the other free resources from The Kindergarten Printable Club by The Teacher Bin. Click here to subscribe.